Per his military service record (regimental no. 4566), Eugene Norris was born at Paddington, Sydney. He gave his age as 21 years and 9 months, his marital status as single, and his occupation as horse driver. His description on his Certificate of Medical Examination was height 5 feet 2 inches tall, weight 9 stone, with a fair complexion, blue eyes, and fair hair. His religious denomination was Church of England. He claimed that he had no previous military service. He was reported in The Cumberland Argus and Fruitgrowers Advocate as being ‘one of the famous Coo-ees who marched through Parramatta’. His ‘Joined on’ date on his Attestation Paper was 11th November 1915 (the day the Coo-ees marched from Parramatta to Ashfield). He was attested on 11th November 1915, and completed his medical examination at Liverpool on 13th November 1915. (An anomaly in his service record is that his ‘Oath to be taken by person being enlisted’ section in his Attestation Paper is recorded as having being taken at Liverpool, but the Attesting Officer’s signature is the same as for several of the other Coo-ees who were recorded as having being attested at Ashfield on the same day). He was one of 14 ‘local boys’ (along with several other Coo-ees) to be presented with a sheepskin vest and a money belt, and a wristlet watch, at a farewell held in the Elite Hall in Guildford on Thursday 9th December 1915. On 19th December 1915 Private Norris was charged with being absent without leave from 15th December 1915 until 19th December 1915. He was fined 1 pound. On his embarkation roll his address at time of enrolment was Albert Parade, Guildford, N.S.W., and his next of kin is listed as his father, W. [William] Norris, at the same address. On 16th February 1916 Private Norris was one of the first group of Coo-ees to embark overseas on active service, and departed Sydney on the HMAT Ballarat A70 with the 14th reinforcements for the 13th Battalion. He arrived in Egypt on 22nd March 1916. On 1st April 1916 he was transferred to the 54th Battalion in Egypt. On 12th May 1916 he was transferred to the 57th Battalion. On 17th June 1916 Private Norris left Alexandria aboard H.T. Kalyan bound for France. He arrived at Marseilles on 24th June 1916. 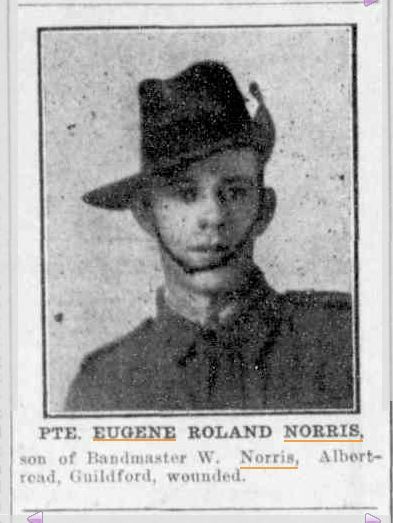 Private Norris served with the 57th Battalion on the Western Front in France until 14th October 1916 Private Norris was sent to the 1st Casualty Clearing Station with keloid on his heel. The 57th Battalion had marched to billets at Estaires, France, the day before, and it was noted in the Battalion diary that ‘a few men suffered from slightly blistered feet due chiefly to new boots’. On the 16th of October 1916 he was placed aboard a hospital train and evacuated to the 35th General Hospital at Calais, France. He was discharged from hospital on 16th November 1916, and sent to the 5th Australian Division Base Depot at Etaples, France. On 4th December 1916 Private Norris was charged with being absent without leave from the No. 1 Training Camp parade on 2nd December 1916, when the 57th Battalion was at Mametz, France. He was awarded 7 days Field Punishment No. 2. On 10th December 1916 Private Norris re-joined the 57th Battalion camped at Montauban, France. On 20th August 1917 Private Norris was granted leave to England. He re-joined the 57th Battalion on 3rd September 1917. On 27th October 1917 the 57th Battalion was being relieved by the 28th Battalion at Broodseinde, Belgium, when the Germans launched a gas barrage. Private Norris was wounded by gas and a shrapnel wound to his thigh. He was moved back to the 3rd Canadian Casualty Clearing Station. On 28th October 1917 he was placed aboard the 32nd Ambulance Train and admitted to the 55th General Hospital at Boulogne, France. On 5th November 1917 he was placed aboard the Hospital Ship Princess Elizabeth for evacuation to England. On 6th November 1917 he was admitted to the Colchester Military Hospital. On 14th November 1917 he was transferred to Suffolk Hospital in Bury St Edmonds. On 30th November 1917 he was granted leave to report to the No. 3 Command Depot at Hurdcott, England, on 14th December 1917. On 2nd February 1918 Private Norris marched into the Overseas Training Brigade. On 21st February 1918 he departed Southampton bound for France. On 22nd February 1918 he marched into the 5th Australian Division Base Depot at Le Harve, France. He re-joined the 57th Battalion in France on 28th February 1918. On 11th November 1918 Private Norris was granted leave to England. On 25th November 1918 whilst still on leave he was admitted to the 1st Australian Auxiliary Hospital at Harefield, England sick. He was discharged on 12th December 1918 and granted leave to report to the No. 1 Command Depot at Sutton Veny on 15th December 1918. He reported back from leave two days late on 17th December 1918 and was dealt with by the Orderly Room. 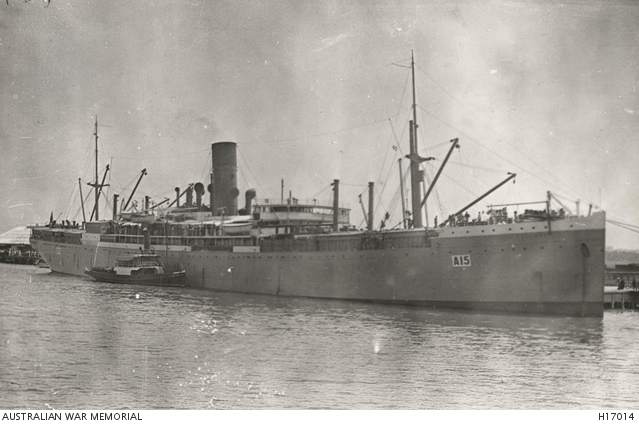 Private Norris departed England on 2nd January 1919 for return to Australia aboard the H.M.A.T. Karmala, with the note ‘for influenza’. He arrived in Australia on 22nd February 1919. He was discharged medically unfit on 4th May 1919. Australian Imperial Force unit war diaries, 1914-18 War, AWM4 Subclass 23/74 – 57th Infantry Battalion, AWM4 23/74/9 – October 1916. Australian Imperial Force unit war diaries, 1914-18 War, AWM4 Subclass 23/74 – 57th Infantry Battalion, AWM4 23/74/11 – December 1916. Australian Imperial Force unit war diaries, 1914-18 War, AWM4 Subclass 23/74 – 57th Infantry Battalion, AWM4 23/74/21 – October 1917. Per his military service record (regimental no. 4442), Henry James Naughton Blakeman was born at York, Western Australia. He gave his age as 21 years and 5 months, his marital status as single, and his occupation as plumber. (However his Certificate of Discharge in his service record states he was only 17 years of age when he enlisted, and his birth was registered in Western Australia in 1898). His description on his medical was height 5 feet 8 inches tall, weight 122 lbs., with a fair complexion, blue eyes, and brown hair. His religious denomination was Roman Catholic. He claimed that he had had 6 months previous military service with the Cadets and served 3 years with the 41st Infantry. He was attested at Lithgow by Captain Eade on 2nd November 1915, when the Coo-ees were at Lithgow, and completed his medical on 3rd November 1915 at Lithgow. On his embarkation roll his address at time of enrolment was Bowenfels, Cascade Street, Katoomba, N.S.W., and his next of kin is listed as his father, H. N. [Henry Naughton] Blakeman, at the same address. On 16th February 1916 Private Blakeman was one of the first group of Coo-ees to embark overseas on active service, and departed Sydney on the HMAT Ballarat A70 as 14th reinforcement for the 13th Battalion. On 1st April 1916 Private Dawson, (along with the other Coo-ees he had travelled to Egypt with), was transferred to the 54th Battalion at Ferry Post. On 23rd May 1916 Private Blakeman was sent to a Field Ambulance suffering from Abcess. On 25th May 1916 he was transferred to No. 2 Casualty Clearing Station at Ferry Post in Egypt. On 28th May 1916 he was discharged and rejoined his unit. On 19th June 1916 Private Blakeman left Alexandria aboard H.T. Caledonian bound for France, and arrived at Marseilles on 29th June 1916. 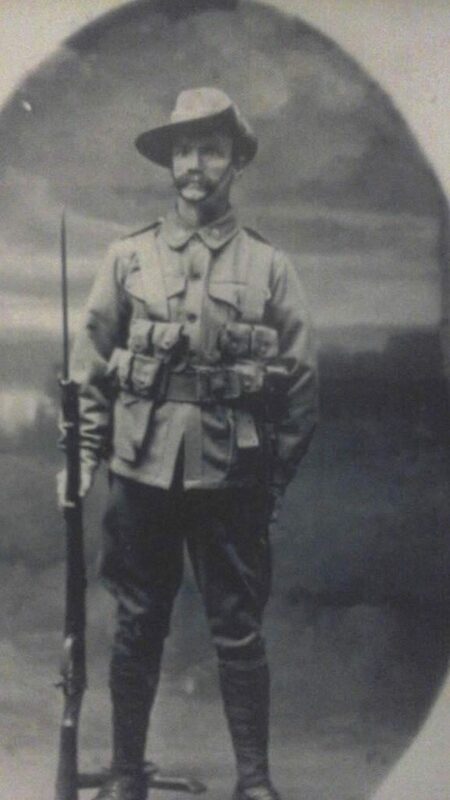 On the night of the 19/20th July 1916 Private Blakeman was with the 54th Battalion when it participated in the Battle of Fromelles in France. During the battle he was wounded in action, suffering a shrapnel wound to his left thigh, and was sent to a Field Ambulance. On 21st July 1916 he was sent back to the 32nd Stationary Hospital at Wimereux, France. On 22nd July 1916 he was placed aboard the Hospital Ship Cambria at Boulogne in France for evacuation to England. The next day, on 23rd July 1916, he was admitted to the Chatham Military Hospital at Chatham, England. On 13th October 1916 Private Blakeman was discharged from hospital and granted leave to report to the Number 1 Command Depot at Pernham Downs, England on 28th October 1916. On 1st November 1916 he was transferred to the 14th Training Battalion at Wareham, England. On 12th November 1916 Private Blakeman departed Folkestone, England aboard the Transport Princess Clementine bound for France. He marched out to rejoin the 54th Battalion on 15th November 1916 when it was training at Rainneville in France. On 1st February 1917 Private Blakeman was sent to the 15th Australian Field Ambulance suffering Trench Feet. On 11th February 1917 he was moved back to a Casualty Clearing Station with Septic Feet. On 12th February 1917 he was placed aboard the 15th Ambulance Train and transferred to the 12th General Hospital at Rouen in France, where he was admitted on 13th February 1917. On 3rd March 1917 he was transferred to the 2nd Convalescent Depot. He was discharged on 13th March 1917, and marched into the 5th Division Base Depot at Etaples, France. On 17th March 1917 Private Blakeman departed the 5th Division Base Depot and re-joined the 54th Battalion on 18th March 1917, which was in the vicinity of Beaulencourt in France. On 19th April 1917 Private Blakeman was sent to the 8th Australian Field Ambulance suffering from Enteritis. On 20th April 1917 he was moved back to a Casualty Clearing Station, then to the 5th Division Rest Station. He was discharged on 11th May 1917 and rejoined the 54th Battalion on 12th May 1917, when it was at Noreuil in France, preparing to move into the front line at the Hindenburg Line in the vicinity of Reincourt, France. On 9th July 1917 Private Blakeman was detached to the 14th Machine Gun Company. On 28th August 1917 he was transferred from the 54th Battalion to the 14th Machine Gun Company, which later became part of the 5th Machine Gun Battalion. On 3rd February 1918 Private Blakeman went on leave to England. He returned to the 5th Machine Gun Battalion on 20th February 1918. After the Armistice, on 19th November 1918 Private Blakeman went on leave to England. He returned to the 5th Machine Gun Battalion on 3rd December 1918. On 22nd January 1919 Private Blakeman was detached for duty at the Corps workshops. He returned to the 5th Machine Gun Battalion on 2nd March 1919. On 22nd March 1919 Private Blakeman marched into the Australian Base Depot at Le Harve in France. On 1st April 1919 he departed Le Harve in France, and arrived at Weymouth in England on 2nd April 1919, and marched in to Number 2 Command Depot. Private Blakeman departed Devonport in England on 15th May 1919 for return to Australia, aboard the H.T. Orontes. He disembarked at Sydney on 1st July 1919. He was discharged from the AIF Termination of Period of Enlistment on 23rd August 1919. WA Birth Registration 1898, Number 5054, Henry James Naughton Blakeman / Henry Naughton Blakeman and Annie Catherine Kelly. AWM4 23/71/10 – November 1916, Australian Imperial Force unit war diaries, 1914-18 War, 54th Battalion. AWM4 23/71/14 – March 1917, Australian Imperial Force unit war diaries, 1914-18 War, 54th Battalion. AWM4 23/71/16 – May 1917, Australian Imperial Force unit war diaries, 1914-18 War, 54th Battalion. Coo-ees Walter Goodlet (left) and James Dawson (right), both amputees. Photograph courtesy of James Dawson’s great-grandson Jamie Stacey. Per his military service record (regimental no. 4469), James Birrell Dawson was born at Joadga Creek, N.S.W. He gave his age as 19 years and 9 months, his marital status as single, and his occupation as miner. His description on his medical was height 5 feet 3 ¾ inches tall, weight 122 lbs., with a fresh complexion, brown eyes, and brown hair. His religious denomination was Presbyterian. He claimed that he had 12 months previous military experience with the Senior Cadets in Lithgow, and that he had been rejected by the 41st Infantry [Regiment of the Militia] for being ‘not tall enough’. He completed his medical on 31s October 1915 at Lithgow, but was not attested until 13th November 1915 at Liverpool (by Lieutenant Edward Shaw). His ‘joined on’ date was 2nd November 1915. 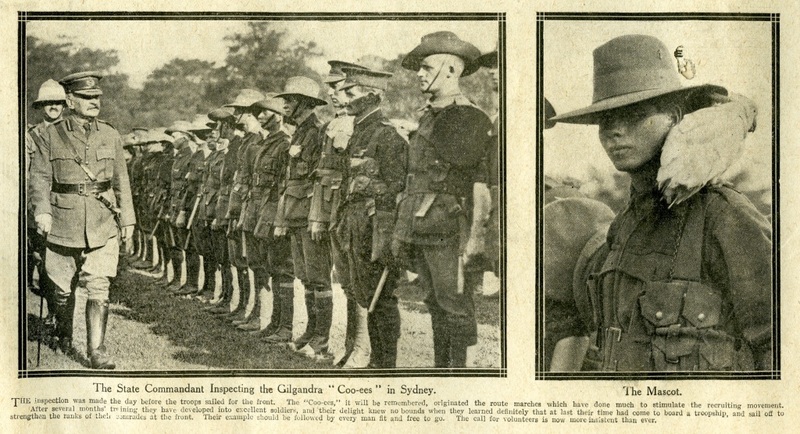 The Lithgow Mercury reported that ‘He was formerly employed as a wheeler at the Oakey Park colliery’, and that he ‘enlisted with the “Coo-ees” and marched to Sydney with this body of men’. A farewell party was held for Private Dawson at Oakey Park in early January 1916 before his departure overseas, where he was presented with a fountain pen, military hairbrush, and comb, and ‘dancing and singing were indulged in until the small hours’. On his embarkation roll his address at time of enrolment was Oakey Park, Lithgow, N.S.W, and his next of kin is listed as his father, G. [George] Dawson, at the same address. On 16th February 1916 Private Dawson was one of the first group of Coo-ees to embark overseas on active service, and departed Sydney on the HMAT Ballarat A70 as 14th reinforcement for the 13th Battalion. On 19th June 1916 Private Dawson left Alexandria aboard H.T. Caledonian bound for France, arriving at Marseilles on 29th June 1916. On the night of the 19/20th July 1916 Private Dawson was with the 54th Battalion when it participated in the Battle of Fromelles. During the battle he was wounded in action, suffering a gun shot wound to his right forearm. He was treated by the 15th Australian Field Ambulance, then moved back to the 1st Australian Casualty Clearing Station. On 21st July 1916 he was placed aboard an Ambulance Train, and moved back to the 30th General Hospital at Calais, France. His right arm was amputated due to his wounds. On 3rd August 1916 he was placed aboard the Hospital Ship Newhaven for evacuation to England. Later that day he was admitted to the Huddersfield War Hospital. On 8th September he was taken on strength by No. 2 Command Depot, Weymouth, England. On 20th September 1916 he was transferred to the 2nd Australian Auxiliary Hospital at Southall, England, which specialised in fitting artificial limbs. On 21st December 1916 Private Dawson was discharged from hospital, and granted furlough, to report back to the 2nd Australian Auxiliary Hospital on 5th January 1917. On 5th April 1917 Private Dawson was discharged from the 2nd Australian Auxiliary Hospital to commence his return to Australia. Private Dawson departed Devonport, England on 4th May 1917, aboard the Transport Themistocles. Also travelling with him on the same ship was his friend and fellow Coo-ee Walter Goodlet, who had also lost an arm. They disembarked at Sydney on 5th July 1917. Private Dawson was discharged medically unfit, with a disability of an amputated right arm, on 12th December 1917. Per his military service record (regimental no. 4609), John William Thompson was born at Camperdown, Sydney, N.S.W. He gave his age as 25 years and 4 months, his marital status as single and his occupation as laborer. His description on his medical was height 5 feet 2 5/8 inches tall, weight 8 stone 11 lbs., with a dark complexion, brown eyes, and dark brown hair. His religious denomination was Roman Catholic. He claimed that he had no previous military experience. He completed his medical on the 24th October 1915 at Orange, and was attested at Orange by Captain Nicholas on the 24th October 1915. On his embarkation roll his address at time of enrolment was 4 Raglan Street, Darlington, Sydney, N.S.W., and his next of kin is listed as his father, J. W. Thompson, Botany, Sydney, N.S.W..
On 16th February 1916 Private Thompson was one of the first group of Coo-ees to embark overseas, and departed Sydney on the HMAT Ballarat A70 as 14th reinforcement for the 13th Battalion. During the voyage, Private Thompson (along with several other Coo-ees on the ship) was charged with being absent without leave from on 8th March 1916 whilst at Colombo, Ceylon. He was fined 1 pound. On 1st April 1916 John William Thompson was transferred to the 54th Battalion at Ferry Post. 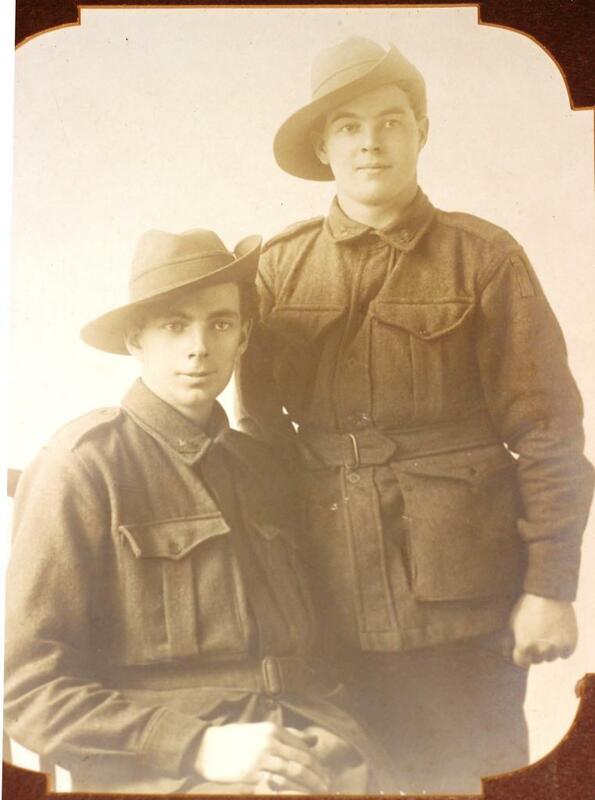 On 3rd April 1916 Private Thompson was sent to the 15th Australian Field Ambulance sick. He was moved back to the 2nd Casualty Clearing Station later that day. He was placed aboard the 4th Hospital Train and moved to the 1st Australian Stationary Hospital at Ismalia in Egypt. He was transferred to the 1st Australian Dermatological Hospital at Abbassia in Egypt on 4th April 1916. He was discharged from hospital for duty on 6th June 1916. On 6th August 1916 Private Thompson left Alexandria bound for England. He arrived later that month. On 31st August 1916 Private Thompson was sent to the Fargo Military Hospital ill with an unstated condition. He was discharged and marched into the 4th Training Battalion at Rollerstone in England on 5th September 1916. On 2nd November 1916 Private Thompson departed Folkestone, England, aboard the Transport Golden Eagle bound for France. He then marched into the 5th Australian Division Base Depot at Etaples, France the next day. He was taken on strength of the 54th Battalion on 22nd November 1916. On 8th May 1917 Private Thompson was sent to the 5th Australian Field Ambulance suffering from the effects of an inoculation. He was moved back to the 5th Division Rest Station and rejoined the Battalion on 12th May 1917. On 1st June 1917 Private Thompson was sent to the 6th Field Ambulance ill with “soft sore”. He was moved back to the 5th Division Rest Station later that day. On 6th June 1917 he was transferred to the 39th General Hospital. He was discharged on 22nd June 1917 and sent to the 5th Australian Division Base Depot at Le Harve, France. He rejoined the 54th Battalion on 26th August 1917. On 2nd October 1917 Private Thompson went on leave to England. Whilst in England he was charged with being absent without leave from 8th October 1917 till 15th October 1917. He was fined 22 days pay. Private Thompson returned from leave and rejoined his unit on 26th October 1917. On 30th November 1917 Private Thompson was charged with being absent without leave from 11th November 1917 till 25th November 1917. He was awarded 28 days field punishment number 2. On 5th January 1918 Private Thompson was charged with being absent without leave from 0900 on 3rd January 1917 till 2150 on 3rd January 1918. He was awarded 7 days field punishment number 2. On 11th January 1918 Private Thompson was sent to the 14th Field Ambulance sick and he was transferred to the 39th General Hospital. He was discharged on 26th January 1918 and sent to the 5th Australian Division Base Depot at Le Harve, France. He rejoined the Battalion on 20th February 1918. On 11th April 1918 Private Thompson was wounded in action, receiving a shrapnel wound to his left hand. He was sent to a Field Ambulance then moved back to a casualty clearing station, then on 12th April 1918 he was admitted to the 12th General Hospital at Rouen, France. He was discharged on 13th April 1918 and sent to the 5th Australian Division Base Depot at Le Harve, France. He rejoined the 54th Battalion on 10th June 1918. On 25th June 1918 Private Thompson was sent to the 5th Army School of Cookery. On 11th July 1918 he was sent to the Australian Division Base Depot, then on 31st July 1918 he rejoined his unit. On 21st August 1918 he was received by Assistant Provost Marshal Havre from Paris. On 23rd August 1918 he was placed in custody pending disposal. On 26th August 1918 Private Thompson was charged with being absent without leave from the 0730 on 18th August 1918 till 2240 on 20th August 1918. He was awarded 14 days field punishment number 2. On 29th September 1918 Private Thompson was wounded in action for the second time, receiving a gunshot wound to his left hand. He was sent to a Field Ambulance then moved back to the 30th Casualty Clearing Station. On 1st October 1918 he was admitted to the 4th General Hospital. On 12th October 1918 he was placed aboard a Hospital Ship for evacuation to England. He was admitted to the Ontario Military Hospital at Orplington, England later that day. Whilst in hospital Private Thompson was charged with being absent without leave from 2100 on 21st October 1918 till 1900 on 22nd October 1918. He was fined 1 days pay. He was discharged from hospital on 29th October 1918 and granted leave to report to the Number 4 Command Depot at Hurdcott in England on 12th November 1918. On 16th November 1918 Private Thompson was charged with being absent without leave from 1030 on 13th November 1918 till 1000 on 16th November 1918. He was fined 3 days pay. On 18th November he marched into No. 4 Command Depot at Hurdcott from Army Headquarters in London ex furlough. On 2nd December 1918 Private Thompson marched into the Australian Army Medical Corps Training Depot. Private Thompson departed England on 5th January 1919 for return to Australia aboard the Transport Kanowna. He disembarked in Sydney on 14th March 1919. He was discharged at Sydney medically unfit with amputated forefinger left hand, gunshot wound, on 5th May 1919.